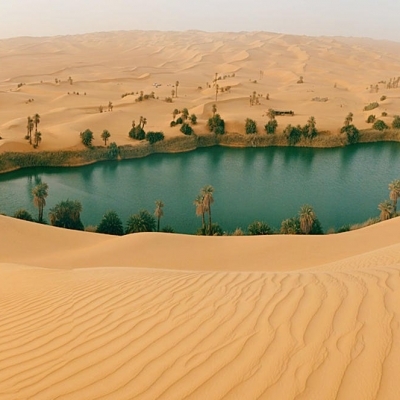 We find a huge ammount of oasis everywhere in which life stands over death. When I saw the Boulderopal gem I got the inspiration to express this universal expression of Mother Nature. This piece has been the most complicated to make compared to the rest. 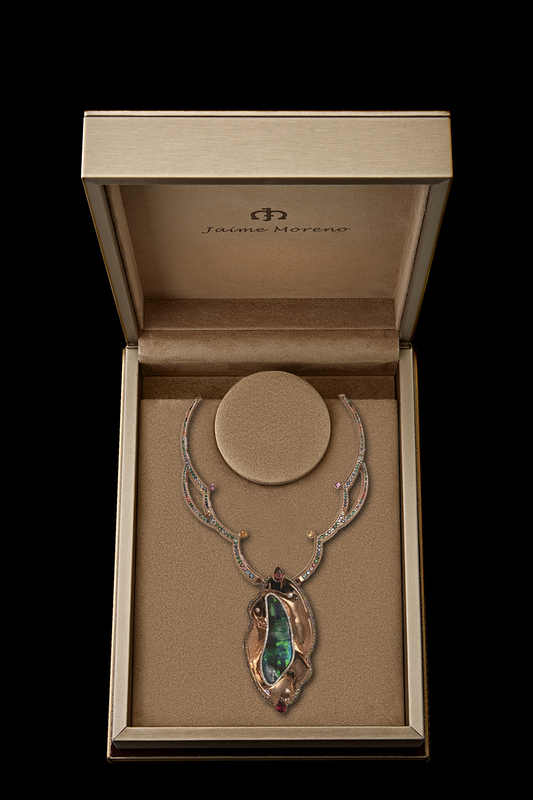 The exceptional boulderopal was placed in a white gold box, surrounded by brilliant-cut diamonds that frame it to highlight it. The main body that houses the design box has been previously designed, modeled in 3D, printed in color and cast in rose gold. The box of the foot is suspended inside the main body so that it does not have support in it, except in two points of subjection. Once the necklace was designed, it has been modeled in 3D, printed in color and casted in rose gold. To lighten its weight the interior has been emptied and a lining has been placed on the back. Blue and green stones that emulate the colors of the opal have been set at the edges of the main body and around the neck.